Height 3mts (18/01/2012) Its a nice compact size here in brisbane . The fruit are fantastic but i have to net them to keep the crows/bats/birds/fruit fly/possums out of them . 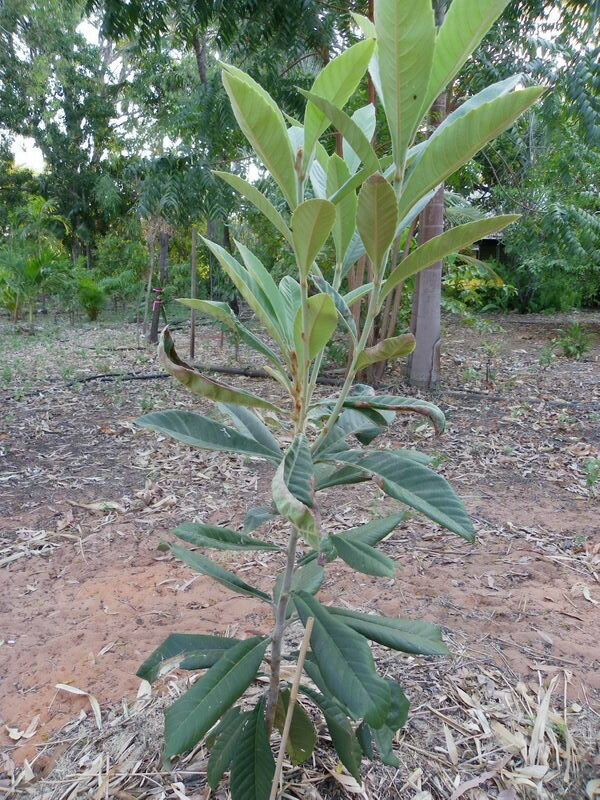 Abundant sweet yellow fruits year round here in the tropics of Central Qld. Our family of 6 all try to beat each other to pick these little treats! 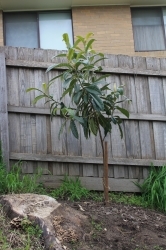 The tree is about 8 years old and has been fruiting well for the past 3 years. 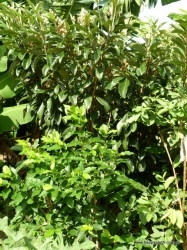 Low maintenence, just an occasional prune every couple of years to keep the tree compact and the fruits easy to reach. No sprays needed. 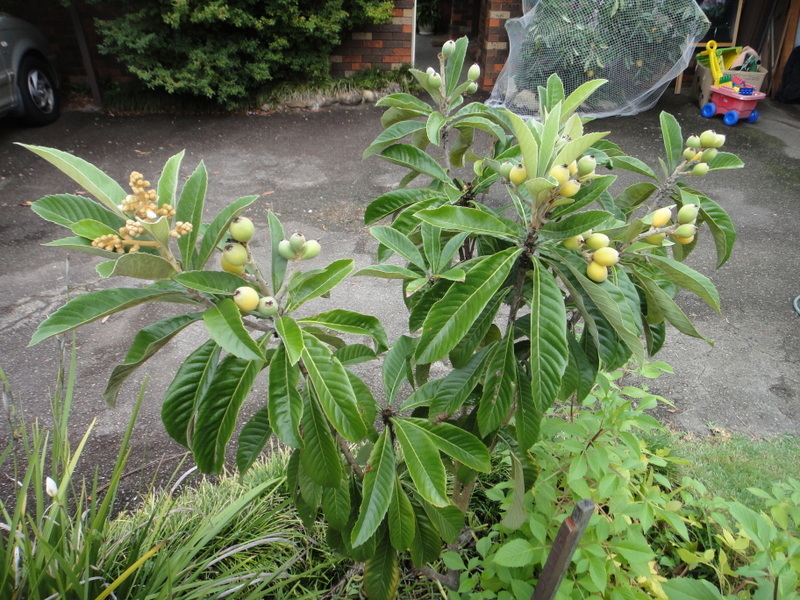 Very little issue with pests, though occasionally the ants get in if the fruits are left to get over-ripe on the tree. This plant has taken off like a rocket! 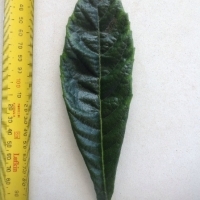 Nice big leaves and look forward to fruit. I remeber wild parrots at my parent place also enjoyed the fruit, but I wouldn't mind sharing if they attract birds here. 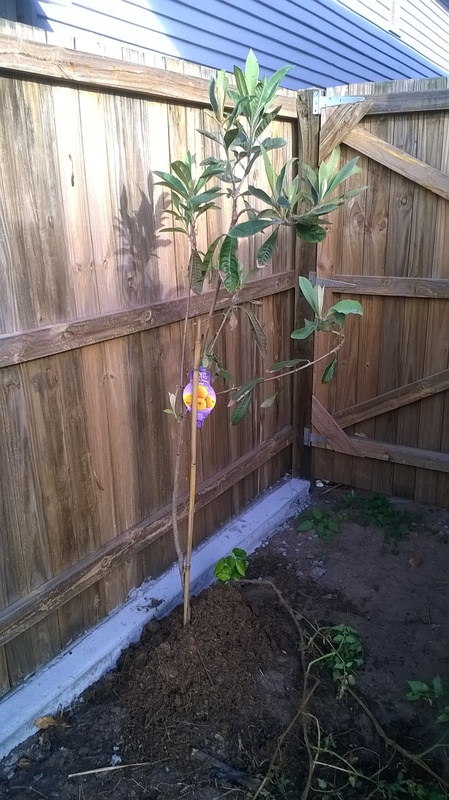 Comments: - May 2015: Planted with my Champagne Loquat in December 2014. It hasn't grown as strongly as my Champagne though has been exposed to the exact same conditions. The plant has a lot of potential but needs a little time and nurturing. Gets slightly less sun than my Champagne but has been sunburnt whereas the Champagne has not. Looking forward to the next year of growth. 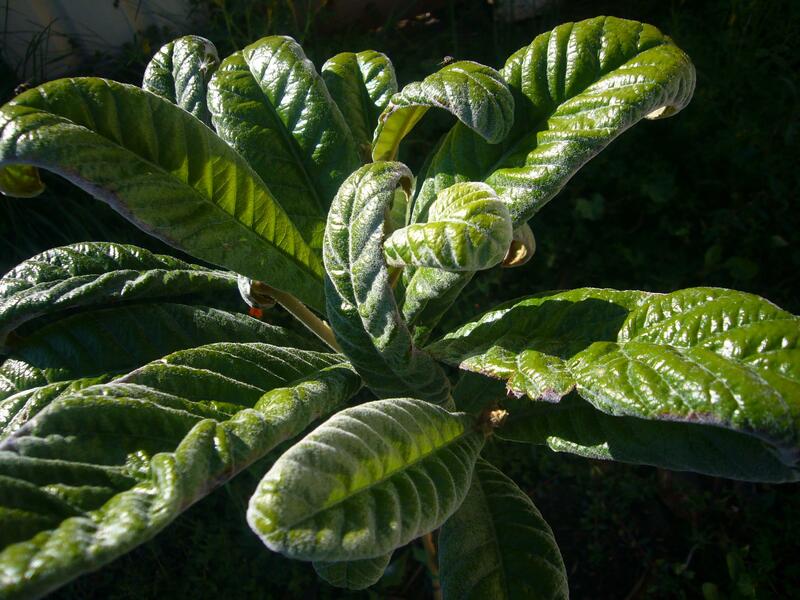 I bought this plant mainly for it's medicinal value. 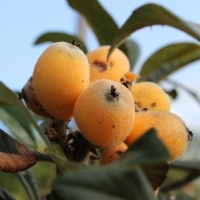 According to the Traditional Chinese Medicine loquats help to relieve cough by soothing the throat. I chose this Japanese variety because it is said to be high flesh/seed ratio. 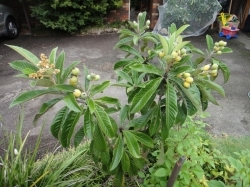 I like this plant as it not only provides fruit but also some much needed summer shade for the garden. 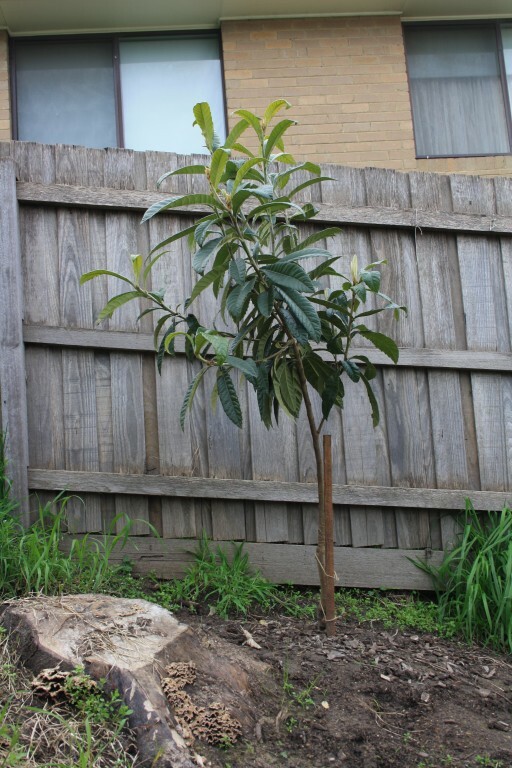 Also it is 1 of my wife's favourite fruits so I gained some good Brownie points by planting it for her as a birthday surprise. 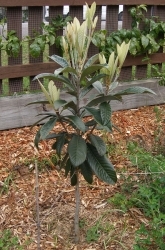 It has been in for 2 years now, started about 30 cm high and is now close to 1.5 m high. 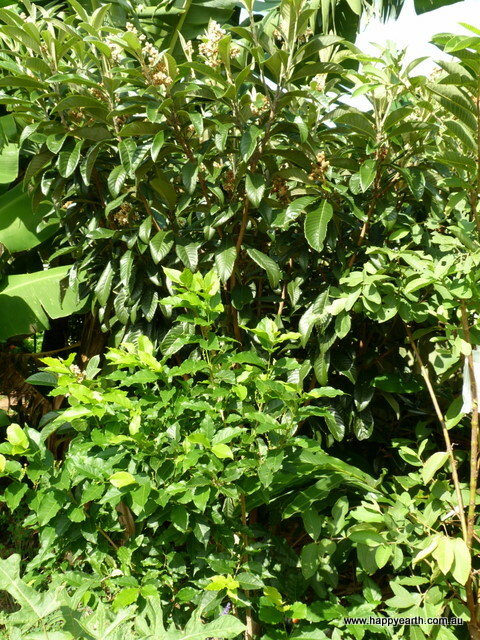 Only some horticultural oils when needed, generally though it is very tough and resilient. 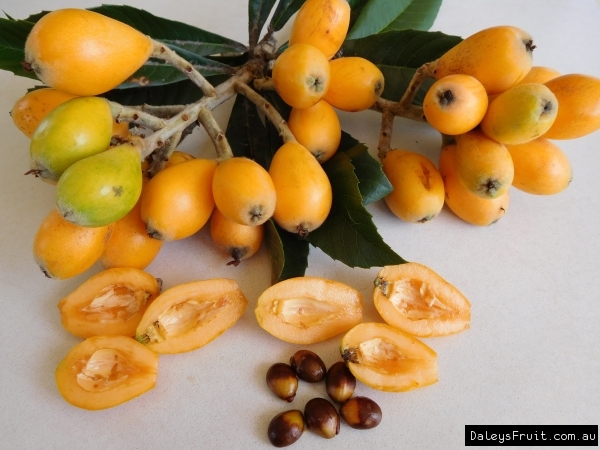 Comments: - A good loquat beats supermarket apricots. Hardy, productive. First season's fruit have been superb. Second season fruits ripened very early due to an unusually warm winter, and were very sweet but not as flavoursome. 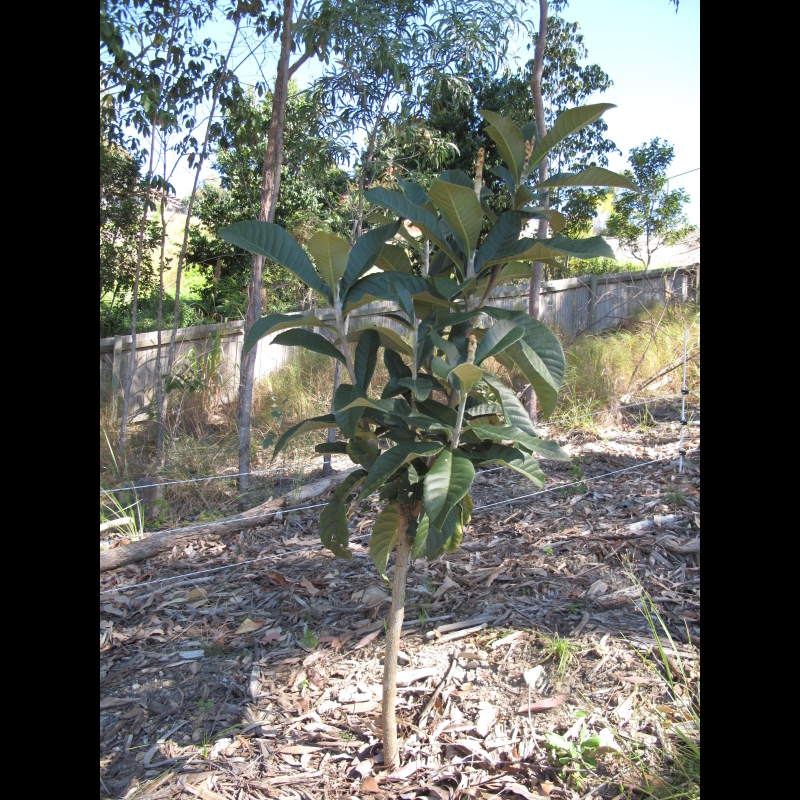 Will consider thinning fruit for a better harvest next year. Pest Control: Cloth bags, so I have perfect fruit. Other Comments: Great little performer. Consistent grow and of good health. 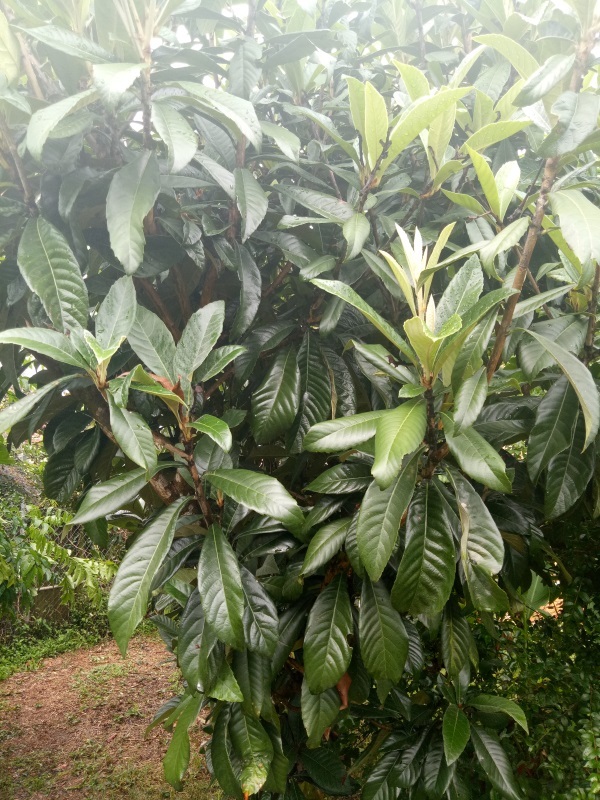 Produces luscious, sweet juicy fruit!!! 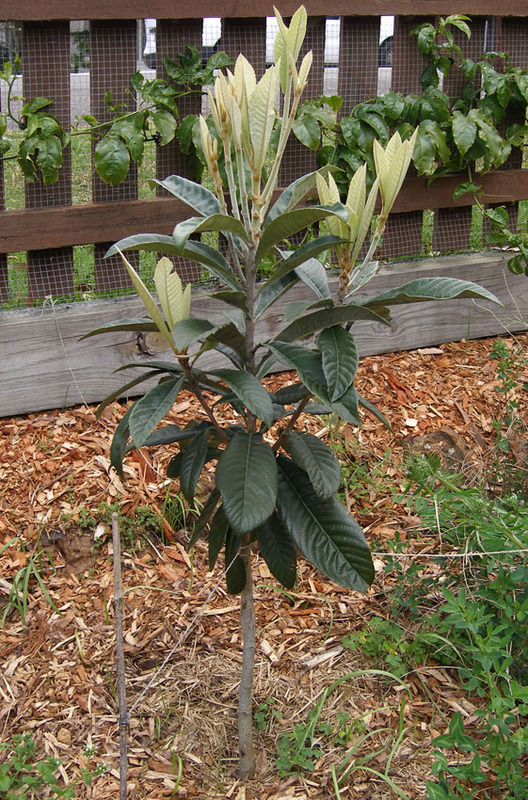 I think the loquat is in too much shade. See what happens this spring. Sept 2013: Tree has taken off, growing through winter. Had a branch full of flowers, took all but 5 off to see what the fruit are like. Taste great; juicy, sweet, nice texture when bright yellow. Comments: - Delicious fruit, medicinal tea from the leaves. 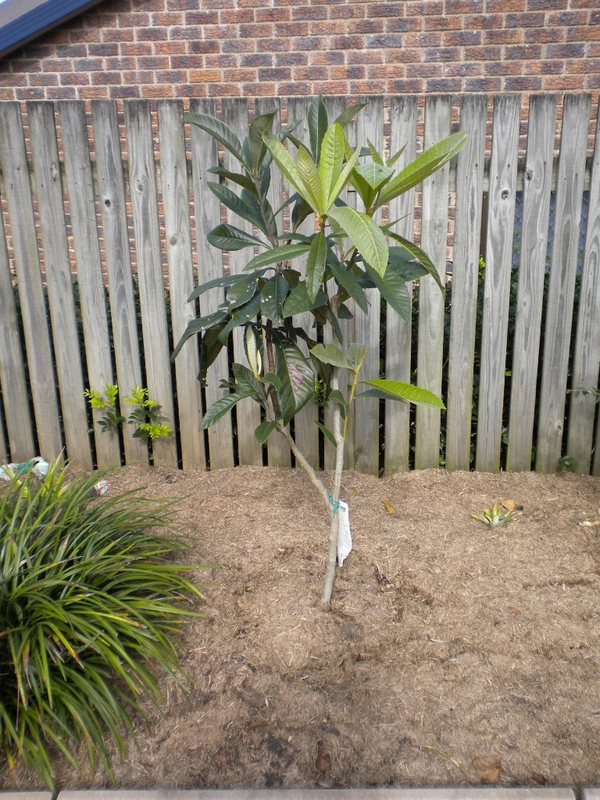 The pawpaw were plantes in a little shade, with protecting tall grass for water control on a slope, and they are growing! 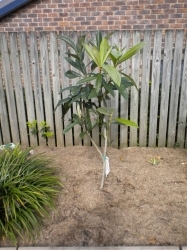 Pawpaw in Warners bay! who would have thought? 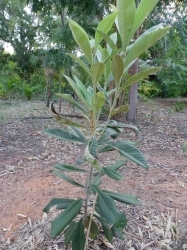 Severely pruned by wallabies in its first year. No fruit yet but growing well. 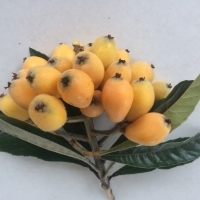 Loquat makes terrific jam. 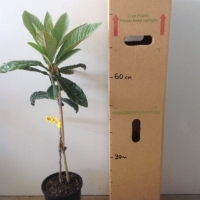 My loquat came from Daleys and I was a little hesitant to proceed with my purchase due to our tropical climate. It has been in the ground for a year and I chose my site carefully. So far so good - the new growth on the top has come since it has been in the ground. Comments: - Hopefully nice shade tree and some nice fruit. Comments: - Variety unknown, seedling grown. 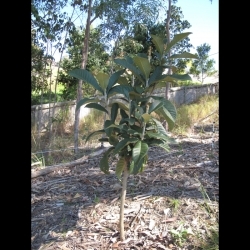 Just a baby right now, my neighbours have huge trees that you can not reach the fruit so I know they grow well here. 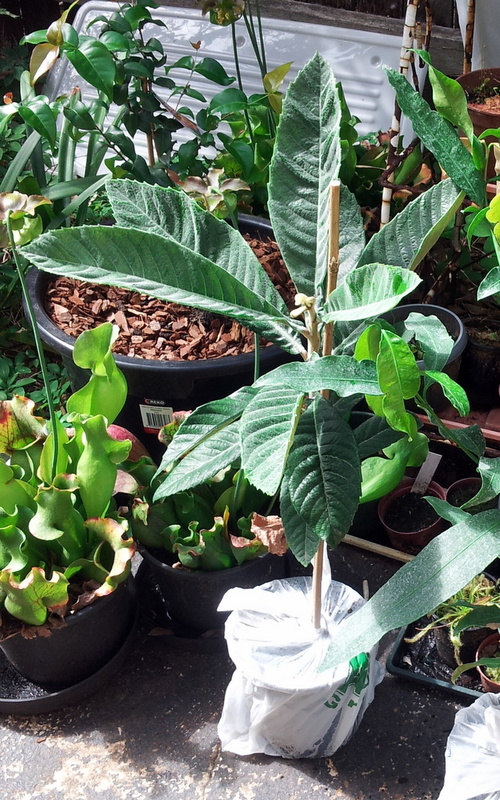 Has been growing well through autumn, trunk has thickened up nicley, seems to grow very fast. They are a great looking tree too.